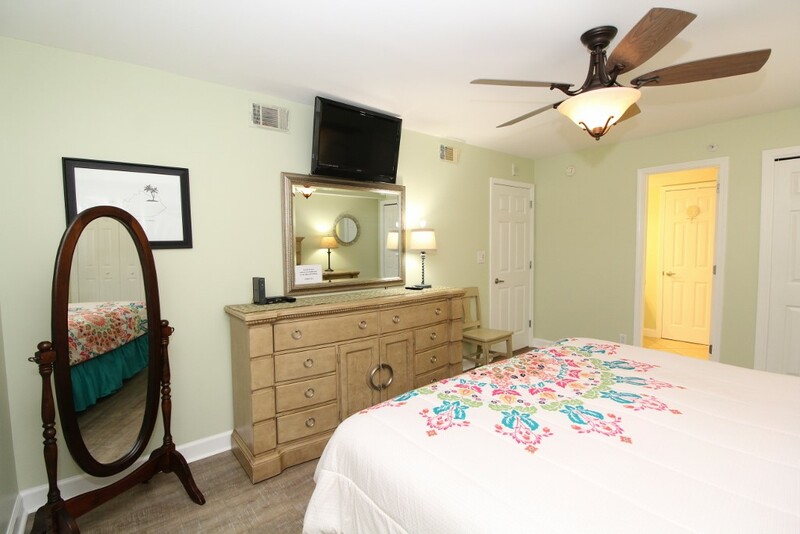 Make the most of your next vacation when you stay in this adorable 2 bedroom, 2 bath upgraded unit at SeaSpray Riverside! This amazing complex features 3 buildings, one of which is situated upon the Intercoastal side overlooking Old River, and two are beachfront so you have the best of both worlds and direct access to an immaculate stretch of sugar-white coastline! This beautiful complex offers several luxurious amenities, including an outdoor pool on the riverside, two beachfront outdoor pools and hot tub, a state-of-the-art fitness center, tennis courts, a marina, boat slips (upon availability) and boat launch, and over 300 feet of private beach access! 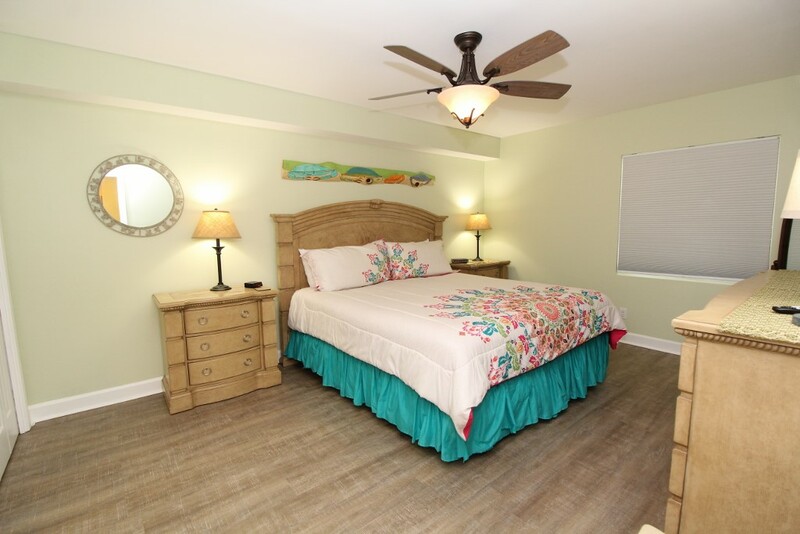 This spectacular 2 bedroom unit on the second floor offers 1260 square feet of luxury in an open and spacious floor plan, while tasteful furnishings and a subtle yet sophisticated beach-inspired design style create a perfectly balanced atmosphere. Energetic pops of bright greens, corals and blues paired with soft neutrals and pastels lend to the cohesive feel of the space. The living area hosts a plush sofa and a large TV, sprawling windows and a spacious waterfront balcony! Floor-to-ceiling sliding glass doors open to the expansive covered terrace overlooking Old River and Ono Island. This exclusive floor plan affords you plenty of outdoor seating to enjoy your morning coffee or late afternoon glass of vino while watching the sun set and boats passing by. 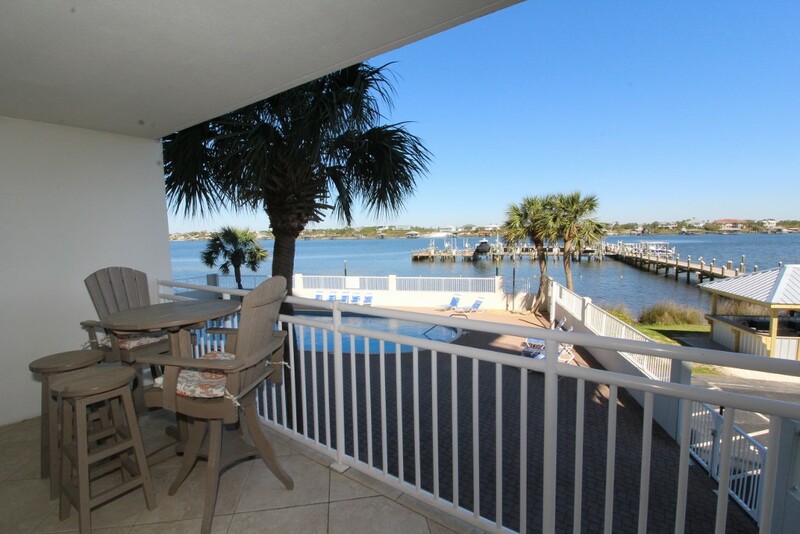 We invite you to delight in the panoramic vistas of the Intercoastal Waterway when you stay in this cozy unit! The kitchen is equipped with everything you’ll need to create the perfect meal, including upgraded appliances, granite countertops, a smooth cook top, a breakfast bar and dining table offering plenty of seating, and a wonderful view of the living area and water! The impressive master suite boasts a king bed with luxurious linens and a premium mattress. You’ll definitely indulge in some much needed rest in this master retreat! The second bedroom boasts a roomy queen with deluxe bedding and high thread count linens as well. There is even an additional queen sofa sleeper, allowing the unit to sleep 6! 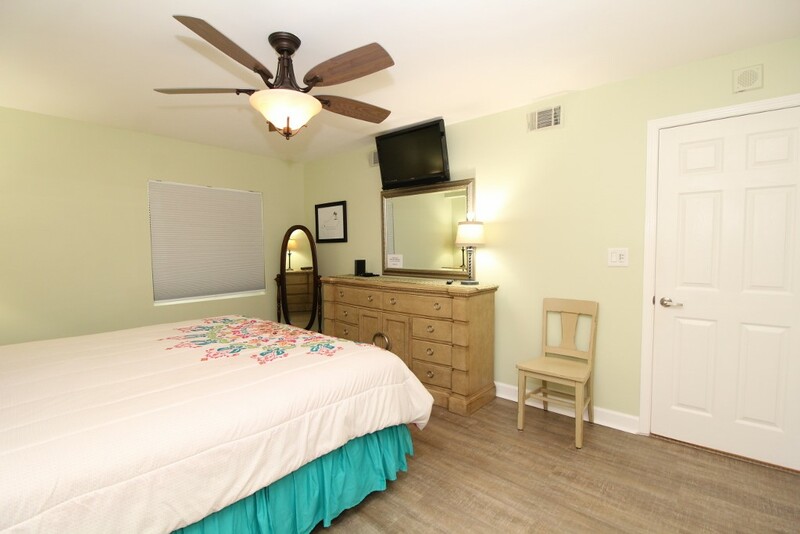 *Please note: This rental has a strict minimum age requirement of 25 or older, no exceptions! Beautiful condo. We really enjoyed the views of the river, boats going by and dolphins swimming by. Very conveniently located out back is the grilling station. Owners have thought of everything that we needed for a wonderful vacation. A short walk across the street is two more buildings and amenities for your pleasure and a beautiful beach. We will definitely return. Beautiful condo with expectational views! This was one of the nicest condos we’ve ever stayed in! The owners go above and beyond for the guests! LCV has some of the cleanest, most well maintained condos of anyone. That out of the way, this was our first time staying in the area that we were not on the beach. We wanted to try this for something different. The view is absolutely gorgeous overlooking the river. The sunrises and sunsets will take your breath away. The SeaSpray complex is very nice - grounds and pool well maintained. The condo is very tastefully decorated, and is very well stocked...the kitchen has everything you need, there are games for the family, and there are many of those little things and touches that will leave you impressed. In addition to the beautiful view of the river, you can watch the activity on the pier, watch the boats come and go on the ramp, and watch the boats and other vessels going up and down the river. The complex is very quiet, and the boat traffic is not a nuisance at all. At night, as opposed to the beach, you can enjoy the lights of the pier, the lights of the boats on the river, and the lights of the gorgeous houses on the other side of the river (on Ono Island). As far as going to the beach, we put our cooler and bags in the back of the SUV, drove across the street, and parked in the lot of the SeaSpray units that are beachside. The walk to the beach was no further than it was the year before when we stayed beachside. 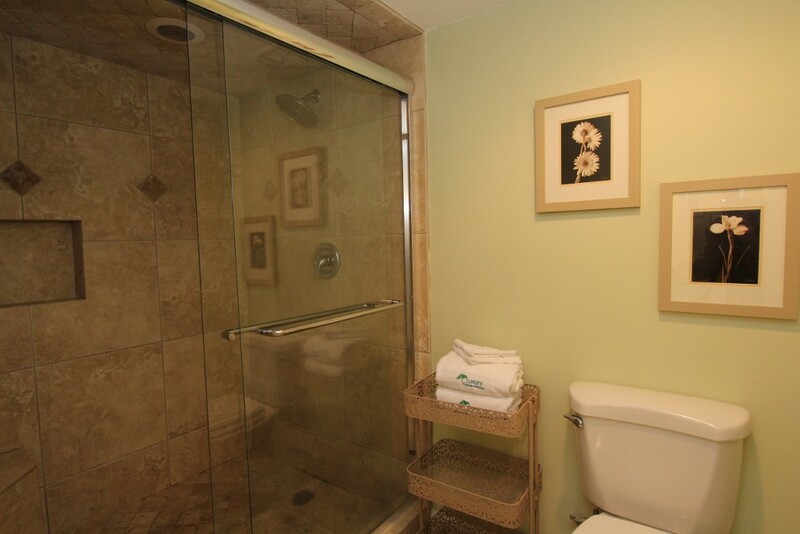 You have complete access to anything on both sides when you are a guest at SeaSpray. You will not be disappointed when booking at LCV, you will not be disappointed with SeaSpray, and you certainly will not be disappointed with 214 Riverside. We just recently stayed for the second year in a row in unit 214 Sea Spray Riverside. 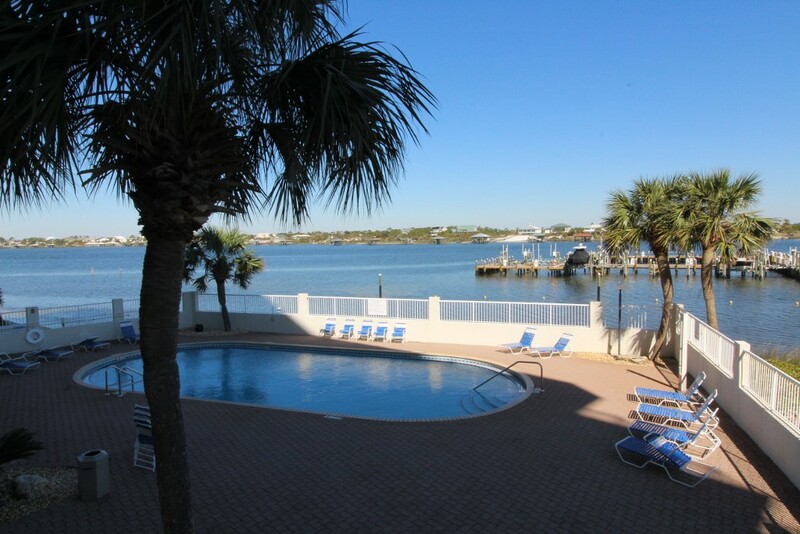 The view of the river is great and has easy access to the beach and pool area. 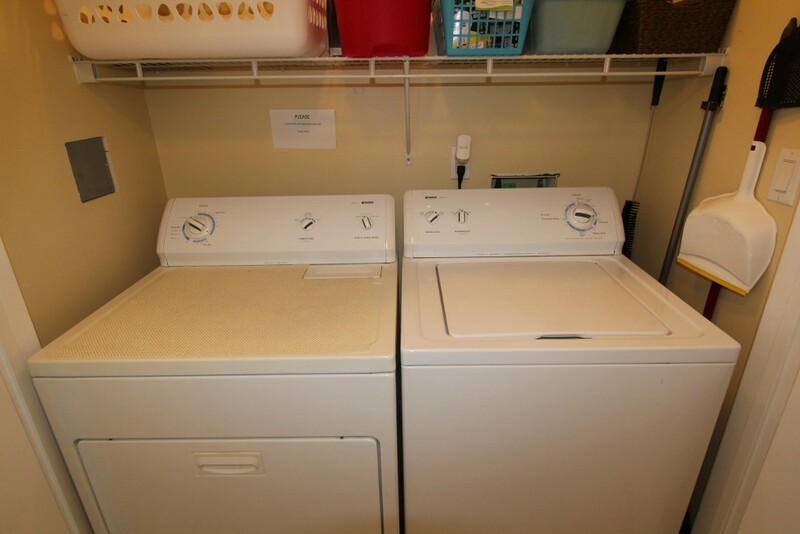 The unit was very clean and the updates the owners have made since our last visit were great. We would highly recommend this property to anyone looking for a great condo in a wonderful location. Aaron T.
My family and I absolutely love this unit! This was our second year staying here and we will continue to do so as long as we can. 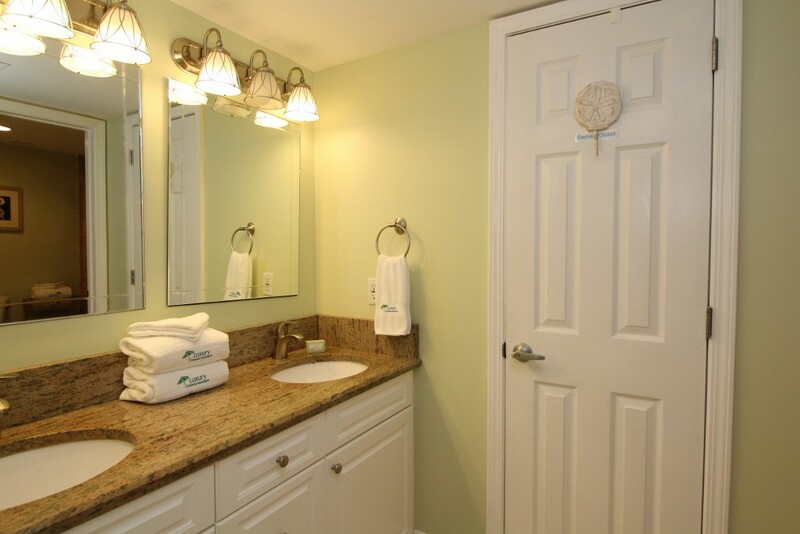 The condo is clean, beautifully decorated, and so convenient. We were able to walk straight to the beach each day and had several pool options on the property. This was a great thing for our kids. The view from the balcony is breathtaking. You can sit on the balcony or simply look through the windows in the living room and watch dolphins swim by. The owners are extremely Nice and have made sure you have everything you could possibly need while staying here. We love this place!